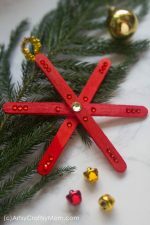 Give your Christmas tree a heartfelt touch of homemade with these fun and easy pasta ornament craft ideas. With different kinds of pasta, you can create amazing snowflakes, flowers, and small tabletop Christmas trees. 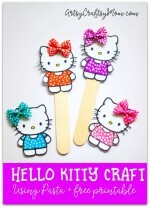 Your kids will love helping you and by using their imagination, they can come up even with some new forms and designs. Bowties, wagon wheels, elbows, stelline .. there are so many different pasta types that you can use. 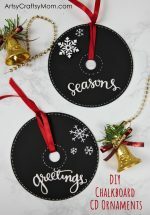 Glue them together by using a hot glue gun, color the ornaments with various paint colors and decorate with other embellishments. How easy and creative can pasta be! Have had a lot of fun painting pasta bows!String them up & hand them up your Christmas tree. Use a variety of different pasta shapes like mini wheels, farfelle bow ties, tubular rigatoni, and mini spirals and paste on a mini birdhouse. Cut out a star, paste pasta shapes, spray painted them with some gold paint, put a ribbon through the top, and tape a picture to the back. 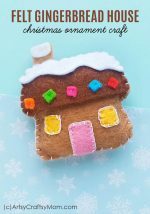 Get your pasta out, heat up your glue gun and create away! Choose your pasta and glue them together the way you please. Pasta Tree Ornament. 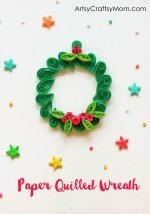 Need:wagon wheel pasta, tiny bells, spray paint, hot glue gun, cord to hang ornament. Spray paint pasta green and bells red. Glue the wheels into a pyramid, with one extra on the bottom to act as a trunk. Glue the bells over the center hole in each wheel except the trunk wheel. Add a cord to the top and hang on the tree. How gorgeous does this look? I love the how they have used the natural color of Pasta with a pop of red. Wasn’t that simple to make? All you need is pasta, glue and lots of imagination. 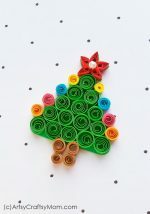 These Pasta Ornaments and Crafts are so cute! What an imagination you have! Very creative you are! Thanks so much for sharing and Merry Christmas to you!